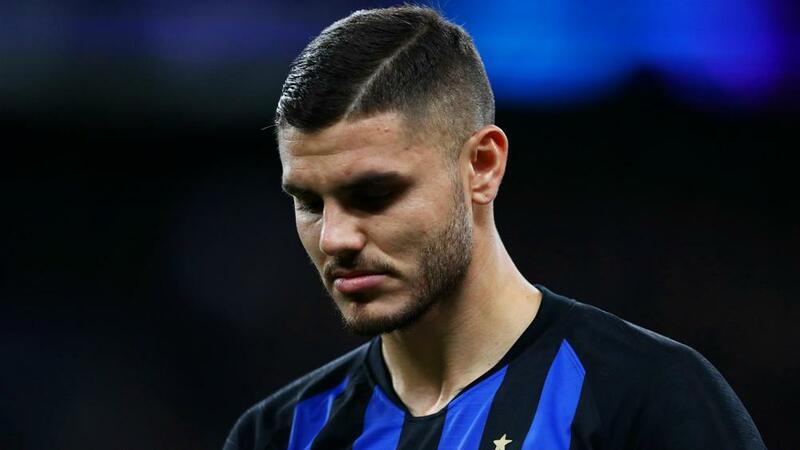 Inter captain Mauro Icardi insisted he will only sign a new contract once the Serie A club "submit a correct and concrete offer" amid uncertainty over his future in Milan. Icardi's terms do not expire until 2021 but the Inter star has been linked with a move to Real Madrid and Manchester United after his agent and wife Wanda Nara reiterated the Argentina international is nowhere near a renewal. LaLiga champions Barcelona and Ligue 1 holders Paris Saint-Germain are also believed to be among the suitors for Icardi, who used social media to address the speculation. "I want to clarify to all the fans who read pseudo-journalists and 'serious' newspapers, who write without knowing and having a real idea of the facts, that my renewal will only take place when Inter submit a correct and concrete offer," Icardi wrote in a message posted on Instagram. "Only after that can we talk about my renewal with truth, while putting aside the lies that have been spread." Icardi, who has scored nine Serie A goals this season, also leapt to the defence of Nara after reports emerged that Inter could ask the 25-year-old to change agents. He tweeted: "Where do these phrases come from? How is it possible that Gazzetta dello Sport writes this rubbish? "Furthermore, I'd like to point out that I am very, very happy and satisfied with the work we've done so far. For this reason, it'll always be Wanda Icardi who takes care of my and our interests until the end of my career." Meanwhile, Inter remain confident Icardi will extend his deal. Inter president Steven Zhang, whose side lie third in the Serie A table, told Calciomercato.com: "Icardi is our captain, we will talk about the contract but there are no problems and we will not be influenced by what the newspapers say. We will certainly talk with him, he is a very professional player." And CEO Giuseppe Marotta added: "Can I reassure fans about Icardi's renewal? Absolutely, the fans can rest assured."